Could you ever imagine something more joyful? This rolly polly happy guy is literally laughing his socks off! He is based on a legend of a monk that lived over 1,000 years ago. 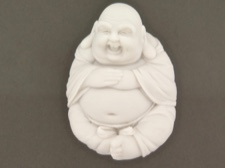 Because of his benevolent nature, he has become considered the deity of contentment and abundance, and he graces many Buddhist homes, temples and businesses. 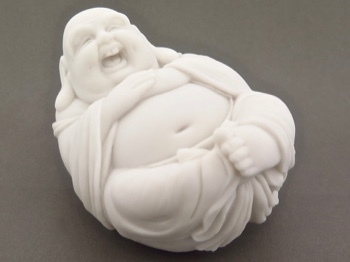 This joyful fellow is 4 inches long, 3 inches wide, and 2.5 inches tall. 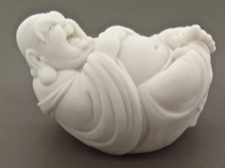 He is cast of solid resin with a marble finish.